We have all been hearing about the multiple fantastic benefits for our bodies by using Coconut Oil in the kitchen. It is known to have so many helpful and healing properties. I am so amazed at all of the healing and luxurious benefits coconut oil has on the outside of the body too. All of it, including your hair and scalp! Studies have shown that the hydration of the skins surface is improved and it helps smooth and heal extra rough patches; heels & elbows better than moisturizer. 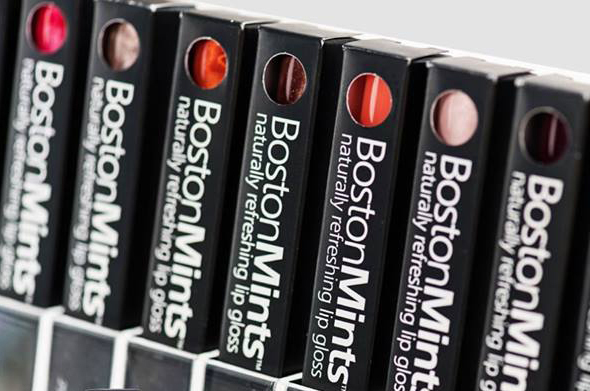 That’s precisely why it is a key ingredient in my newest BostonMints lip gloss colors, Back Bay Berry and STRONG. Smoothing, healing and hydrating, that’s the answer to beautiful luscious lips. Cocounut Oil also has anti-inflammatory, antioxidant and anti-bacterial properties. It is the product to keep in your bathroom cabinet for everyday access. Cold pressed coconut oil melts easily between your hands or can be scooped into a warm bath for a luxurious full body moisturizing experience. You can use it as an under eye cream or a highlighter for your cheeks. It leaves your legs smooth as silk when used to shave with a traditional razor. I am sure once you start using coconut oil for some of your grooming needs, you’ll come up with lots of other ideas for this wonderful (and delicious) oil. Be sure to check out the my new colors full of the amazing benefits from coconut oil, also vitamin E & C with a pop of spearmint! Have a fantastic day, see you at Adamo!